Srinagar:Hurriyat Conference chairman Mirwaiz Umar Farooq on Wednesday led a protest march to the Jamia Masjid here against the desecration of the pulpit of the historic mosque last week. The Mirwaiz, who heads the Awami Action Committee, a constituent of the Hurriyat, led the march of his supporters from various walks of life from Rajouri Kadal and purified the pulpit where some unknown ISIS supporters had displayed the flag after Friday prayers on December 28. 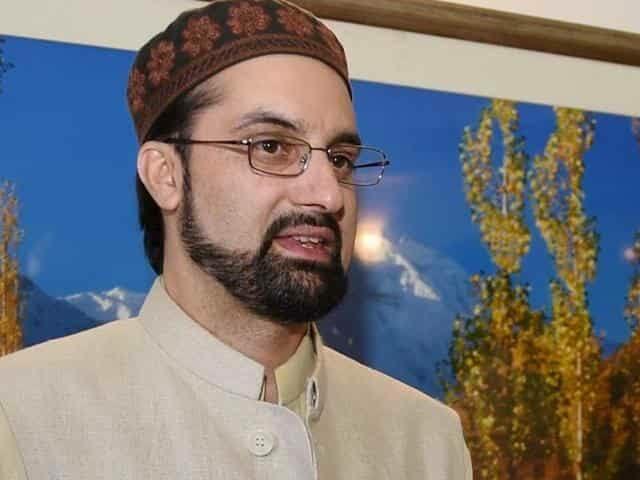 “Not only has the incident saddened the people of Kashmir, but there is growing demand for isolating these elements,” the Mirwaiz said, while addressing his supporters.